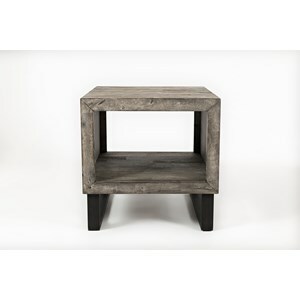 This end table presents a patently unique and gorgeous living room accent piece for your home. 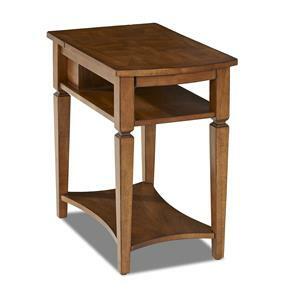 With a basket shaped metal base frame, deep cherry table top wood finish, and a thick and sturdy top, this table provides interesting storage and display in your home. 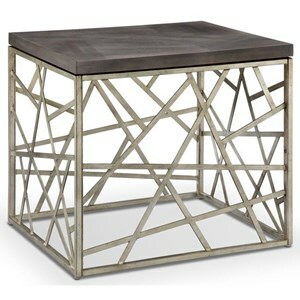 Pair it with the coordinating sofa table and cocktail table to complete the look in your home. 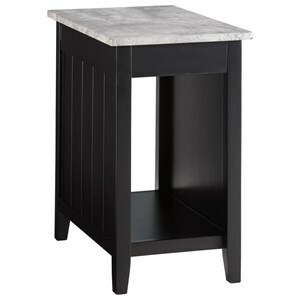 The Onslow End Table at Ruby Gordon Home in the Rochester, Henrietta, Greece, Monroe County, New York area. Product availability may vary. Contact us for the most current availability on this product. Wood & Finish Deep Cherry finish. 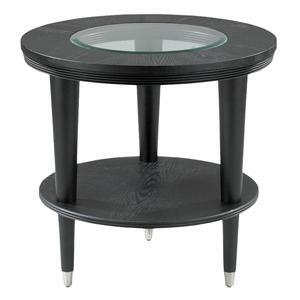 Description: Top Cocktail table features a glass top insert. Case Construction Basket-like metal frame bases, with wood veneered tops. 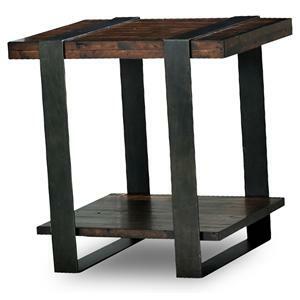 The Onslow collection of occasional tables displays contemporary styling at it's best. 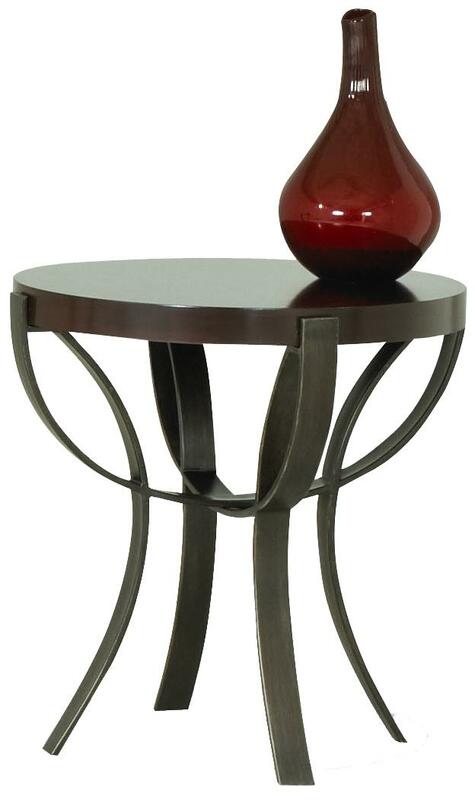 These tables feature a deep cherry table top finish, and metal frames. 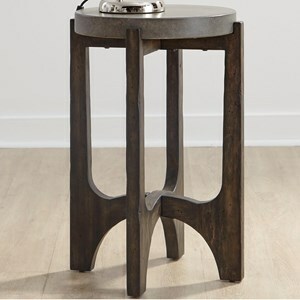 Each table top rests on an architecturally inspired shaped base for added interest. The cocktail table features a sizable glass insert as well. 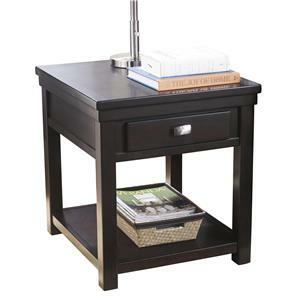 Outfit your home with well executed contemporary style with the Onslow collection today. 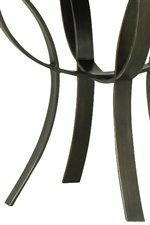 The Onslow collection is a great option if you are looking for Contemporary furniture in the Rochester, Henrietta, Greece, Monroe County, New York area. Browse other items in the Onslow collection from Ruby Gordon Home in the Rochester, Henrietta, Greece, Monroe County, New York area.